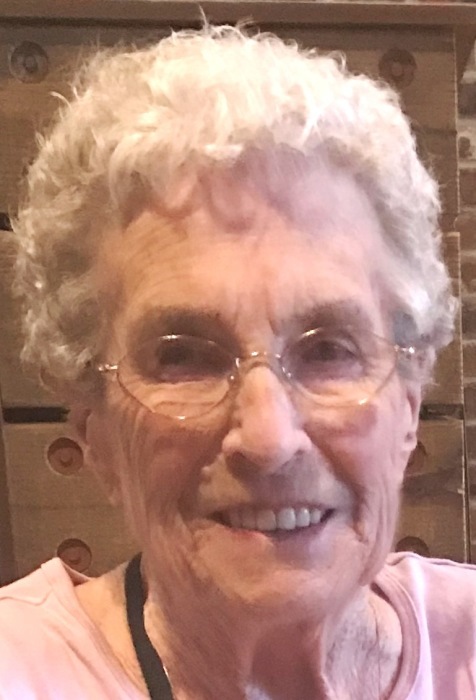 Phyllis J. Benes, age 88 of Grand Haven, passed away Monday, October 29, 2018 at home, surrounded by family. She was born January 31, 1930 in Grand Haven to the late Floyd and Velma (Featherstone) Hippler. Phyllis married Jerry Benes Jr. on May 29, 1948 in Grand Haven. He preceded her in death on July 9, 2013. Phyllis was a life-long resident of Grand Haven, and attended the Watermark Church of Grand Haven for many years. She loved to grow vegetables and flowers in her garden, and enjoyed knitting, sewing, and crocheting. Phyllis will be lovingly remembered and missed by her four daughters; Cathy (Richard) Duarte, Rose (Michael) Huntoon, Judy Midkiff, Cindy Somers, all of Grand Haven; son, William (Carol) Benes of Grand Haven; sisters, Patricia DeCan of Coopersville, Frances Sparks of Spring Lake, and Sara Gauthier of Muskegon; 12 grandchildren; 28 great-grandchildren; four great-great-grandchildren; and special friend, Tootie Marcum of Grand Haven. She was preceded in death by her husband of 65 years, Jerry; brother, Frank Hippler; and sisters, Priscilla Hazlet and Virginia VanSycle. The Funeral Service for Phyllis will be at 11:00 AM on Thursday, November 1, 2018 at the Watermark Church in Grand Haven with Pastor Jeff Steele officiating. Visitation will be from 5 to 8 PM on Wednesday, October 31st at Klaassen Family Funeral Home. Interment will be at Grand Haven Township Historic Cemetery. Memorial Contributions may be given to Hospice of North Ottawa Community.